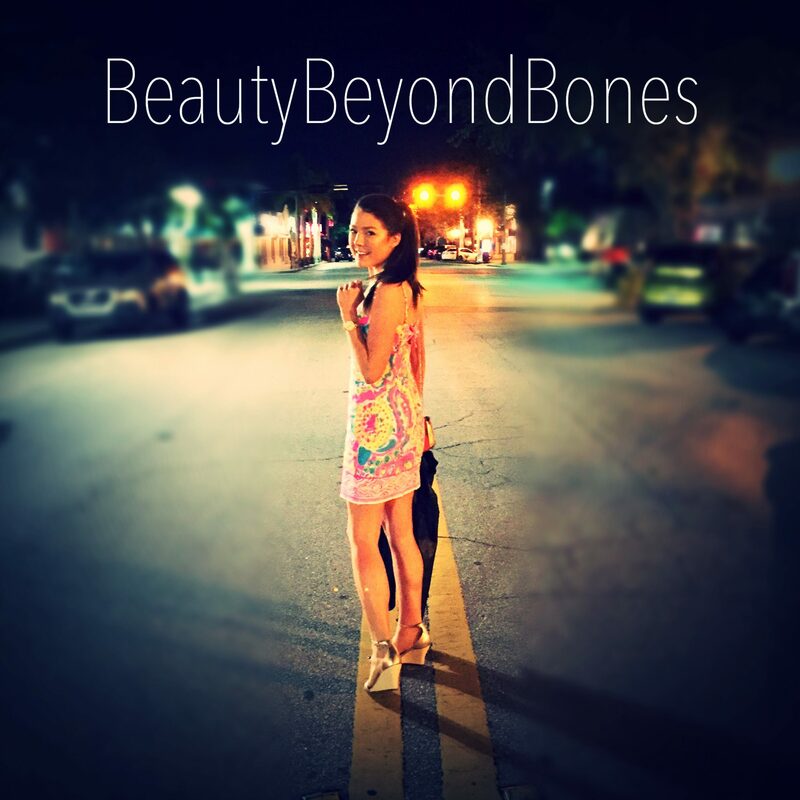 Thank you for all the wonderful feedback on Monday’s post. Gosh I am just so grateful for the wonderful friends this crazy little blog has brought into my life! But get this: I got the book for free so I don’t really feel that bad about listening to something that should be in the “rag-mag” section at the grocery store. But I used this week’s sponsor: Audible, and did their Free 30 day trial . And when I signed up, I got 2 free audiobooks! OK – THIS, ladies and gentlemen, is one of my ALL-TIME-FAVORITE RECIPES I’ve every created. Now, I know I say that a lot, but I’m not even kidding you…I dream about this meal. This was soooo fresh and tasty. 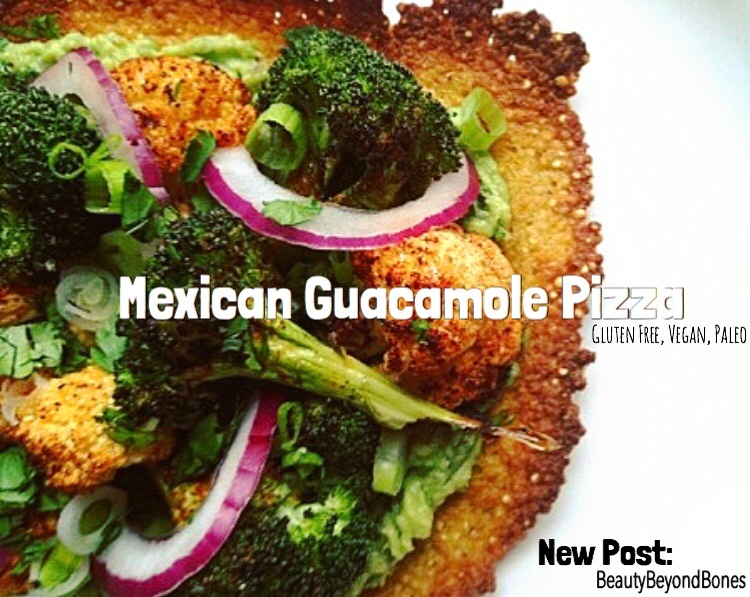 A crunchy millet crust, topped with guacamole, and roasted spicy broccoli and cauliflower! There is something so magical that happens to broccoli and cauliflower when you roast it in the oven…And with this amazing spice rub — it will convert even the most stubborn of vegetable-averse humans. And it’s gluten free with Paleo and Vegan options! Preheat oven to 400 degrees. Cook the millet until it absorbs all the liquid, about 20 minutes. Fluff with a fork, and set aside to cool. Cut 2 medium-sized rectangles of parchment paper. Once the millet is cooled, combine it in a bowl with your egg-of-choice, almond flour, and salt. Mix well to combine. Then, place the millet mixture on one piece of parchment paper. Place the other sheet on top, and then “smoosh” it out as thin as you can. Leave the top paper on (it’ll be like a parchment paper sandwich), and bake for about 35 minutes, until the edges are a dark golden brown. Meanwhile, roast the cauliflower and broccoli. Place the florets on an olive oil-sprayed, tinfoil-lined baking sheet. Spritz them with olive oil, and sprinkle with salt pepper, and spices. (Only use a PINCH of garlic powder – it is very potent!) Bake for about 20 minutes, until nice and golden and roasted! Also, make your guac. Combine all the guac ingredients in a bowl, and smash the avocado with the back of fork. Season to taste. Mmmmm! To assemble, spread the guac on the flatbread. Top with the roasted veggies and garnish with green onions and cilantro! YUMMO! This meal was truly super! It was like a nacho pizza! The millet crust was so crunchy and wonderful, while the guacamole was luxuriously rich and creamy! And the roasted veggies had a perfectly tender bite to them — just fabulous! And the flavors were outstanding! I’m crazy for anything with Mexican flavors! I love the bright freshness of guacamole, combined with the smokey-spice of the broccoli and cauliflower, and the nutty richness from the millet. It’s so clean and healthy while being out-of-this-world flavorful! Do you have any book recommendations for my next free audiobook from Audible ? I feel I need to do some brain push-ups after this juicy Bachelor tell-all! I read The Gifts of Imperfection by Brene Brown and Unashamed: Healing our Brokenness and Finding Freedom from Shame by Heather Nelson at the same time. They were both super insightful. I also just read a fiction book called Tell No One by Harlan Coben that was a fast paced suspenseful mystery about a girls murder. you deserve this honor. Your blog is inspiring and that’s what this blog award is about. I had over 1000 blogs I wanted to nominate but did only 15. That’s 9 more than what I should have. Congratulations. Thanks again 🙂 you’re very kind! I absolutely love audiobooks as well, be it at the gym on a bike or general house/yard work. I’m more of a non-fiction junkie however. YUM ! Looks sooo good! Love Audible (and the pizza doesn’t sound too bad, either)! 😉 If you’re looking for some good life messages, Joyce Meyer has several good books on Audible, like “The Battlefield of the Mind” and “Power Thoughts” and “Get Your Hopes Up” and “Mind Connection”—can you tell I love Joyce Meyer? I really liked “Instinct” and “Destiny” by T. D. Jakes, too. “The Purpose Driven Life” by Rick Warren was excellent—I haven’t found anything by him that isn’t. Two of my husband’s and my favorites were “The 7 Habits of Highly Effective People & The 8th Habit” by Dr. Stephen Covey and “The Seven Decisions” by Andy Andrews, plus there’s always interesting ones like “The Millionaire Next Door” by Thomas Stanley and William Danko. There you go, there’s several uplifting, personal-growth-related suggestions for you to chew on😜. Ooooh – can’t wait to make this – sounds absolutely nummy! For audiobooks, I loved listening to them on CD when I first starting driving, in high school. I loved the Millennium trilogy (The Girl with the Dragon Tattoo, etc.) so much! I will try this one. When I make Guacamole I have to use 40 Avocados. That way I make sure the taste is right. All kidding aside, I will make the best of this one. Looks delicious!!! I will try this pizza for sure! I need to try this! It looks amazing! ugh this looks soooo good 🙂 Thanks for checking out my post earlier btw- meant a lot to me! Hahahaha! The article was superbly assembled just like your gastronomic creation of love. Pardon my laughter, but the “guys seriously “ pic has left me in stitches.